As the naughties emerged, we started seeing game developers really pushing to tell more complex and important stories than the standard "epic quest to save the world," that had characterised so many RPGs in the decades previous. 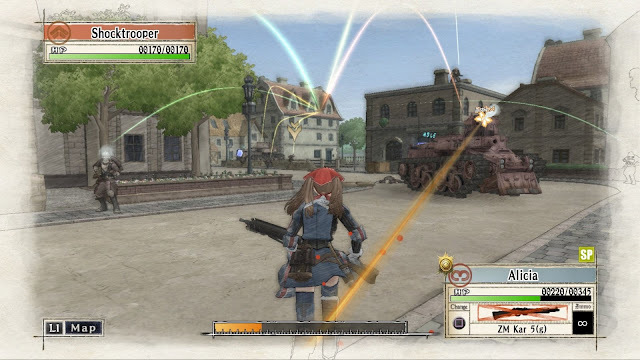 Valkyria Chronicles is an anti war game about leading a group of soldiers into battle. That intense theme was coupled with deeply human characters and some incredibly challenging moral questions that it asks of its players (even if it doesn't give them much of a choice over the answers). Coupled with a really good tactical combat system, Valkyria Chronicles is one of those special games that is rightfully lauded for really pushing what games can do forward. This was the third Elder Scrolls game, but while the first two were excellent games in their own right, it was only with the third that the development team really hit on a formula that would be so ambitious in scope, but so rewarding and engaging, that it had a timeless hit on its hands. Morrowind had its issues with bugs - it would be almost impossible to make a game so massive and so complex without them, but it was so easy to overlook those bugs in order to have a game that we could live in. Where we really felt free to do whatever we wanted, and everything that we did do would have ramifications, whether to the main plot or not. The fact that there was a solid dozen hours of play value in just the first, tiny village, and yet it was a fully realised world built in 3D, was just mind blowing for its time. And, to this day, Morrowind remains the most mature and nuanced effort across the entire series. On the surface, Wild ARMs III may appear to be a fairly typical JRPG. It certainly is that (in the best possible way), but it’s also an unexpectedly deep and complex game that makes it one of the finest examples of the genre. With a main cast of just four people, it’s able to really drill deep for characterisation, and it does that remarkably well - especially in the case of Virginia Maxwell, the “main” character who is more or less the antithesis of the moody amnesiac hero. It also has a wonderful battle system, clever Zelda-like dungeon puzzles, and one of the best game soundtracks of all time. Without King's Field, Dark Souls would never have existed. That's right - years before From Software was pulling in a fortune from its unrelenting, methodical, dark fantasy JRPG series, it was getting critically panned for doing the exact same thing, but on earlier consoles. King's Field has the most incredible, winding level design, which really feels like you're exploring the crumbling ruins of antiquity. Though it plays out in first person rather than third, it has a similar careful combat system that rewards patience over brute force. And it is a brutally challenging, unforgiving game. For the unobservant, it was possible to meet the "game over" screen within three seconds of starting the game. If that doesn't teach you to be patient and really observe what's going on around you, nothing will. It was harsh, but fair. Dark, but beautiful. 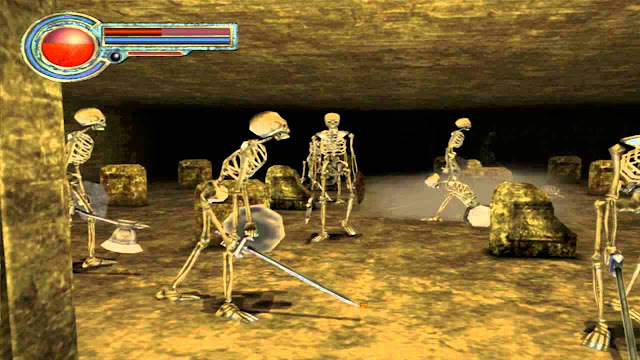 It was everything that the Souls games would come to be celebrated for. 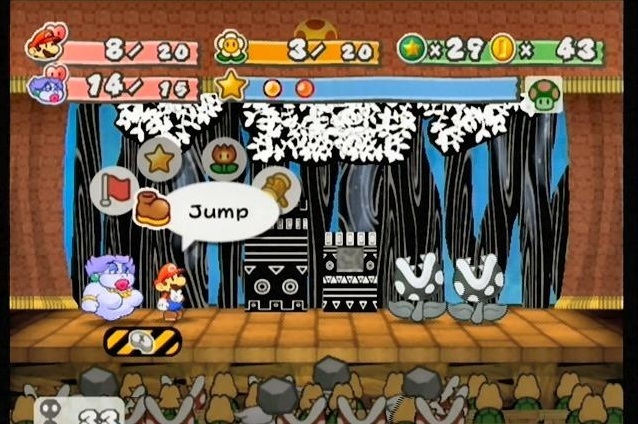 Paper Mario: The Thousand-Year Door was awarded the title of RPG of the Year at the 2005 IAAs, joining the ranks of Ocarina of Time and Baldur’s Gate. If that doesn’t convince you, then you don’t have to look much further than the game’s distinctive art style and fun blend of interactivity and turn-based combat to see why it was such a success (though we do still question any award that considers a Zelda game to be a "RPG"). The original Paper Mario was good, but The Thousand Year Door is even better. It’s instantly recognisable as a Mario game - you’ve got to collect an arbitrary number of shiny things and you’ve got to save the girl. You also get a number of cool power-ups, you’ve got puzzles to solve, and you’ve got a whole ton of linear exploration to do. What makes this game so special is that it refines all those bits that we expect from a Mario game to take it to a whole different level. 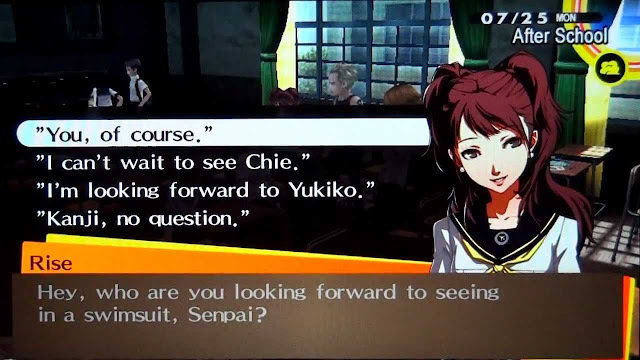 What can we say about Persona 4 that we haven't already? 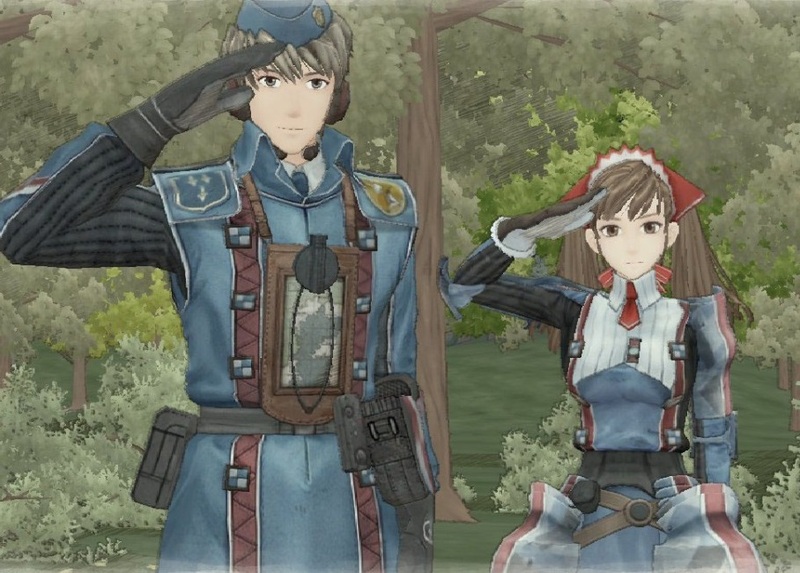 As a straight-up turn-based JRPG, it is, for our mind, the greatest game ever made. The combat is smooth and clean, the difficulty spot on, and the monster collecting mechanics detailed, and deeply rewarding. But that's the lesser half of Persona 4. What makes the game an absolute masterpiece is the characterisation and the storytelling - giving you a band interesting and rich characters, and a winding plot that melds murder mystery and the supernatural with the basic lifestyle and social dramas of teenagers. And then on top of that it lays a range of philosophical questions and ideas that themselves are enough to write a book about. Even with the far more technically-advanced Persona 5 out there in the market now, Persona 4 is a truly special game that won't easily be topped. Fire Emblem (subtitled Rekka no Ken in Japan) was the first game in the series to hit western shores and, in hindsight, Nintendo couldn’t have picked a better one to embody on the franchise’s appeal. 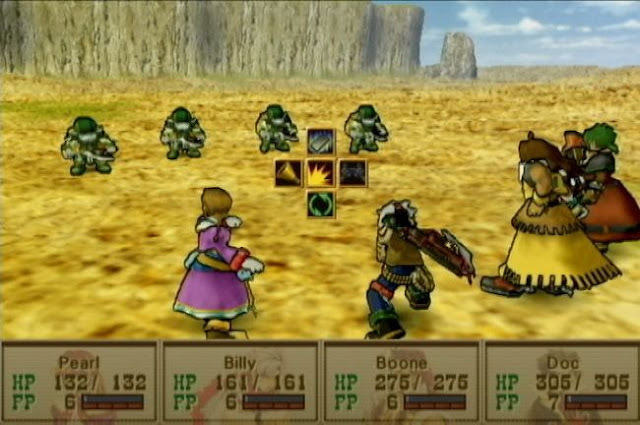 While the series’ tactical battles have since been refined, it remains an example of permadeath done justice in games. 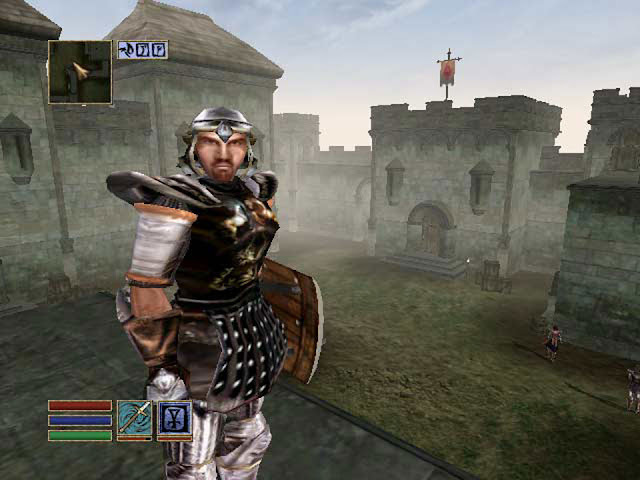 In addition, the player lacks guaranteed access to basic items like weapons, so resources must be carefully considered throughout a 20+ hour game or you run the risk of your save file being unsalvageable - it was impossible to "grind" and you could very well end up with a team of heroes that was simply incapable of taking on the challenges in later levels. These are some bold design choices that hammer home the toils of war while demanding long-term planning for a more sophisticated experience. Because your characters have support conversations that enrich them so much beyond their contributions to the central plot, you genuinely want them to survive until the very end. Even still, so many side characters like Jaffar, Nino, and Matthew are afforded the proper screen time and development they deserve. 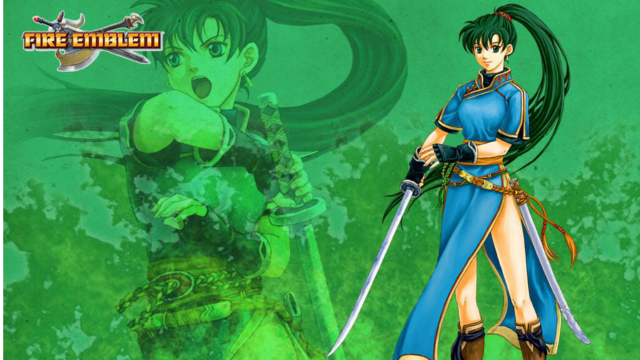 The cherry on top is Lyn, who so easily could’ve been a condescending tutorial zombie for westerners, but wound up being a timeless legend that transcends Fire Emblem itself. It should be a no-brainer, really. Star Wars and the epic storytelling of the RPG genre should go hand in hand, but it has been a rare instance indeed that a game has truly done justice to the storytelling of everyone's favourite space opera. Bioware did, though. Knights of the Old Republic managed to be the fully interactive Star Wars storytelling experience that we all wanted, and really added to the existing Star Wars universe in a respectful and nuanced manner. So much of what would play through into the storytelling of Bioware's later Mass Effect was seen here first, and this is one of those games that will be timeless - pick it up and play it today and it will feel as modern and relevant as it did back in. 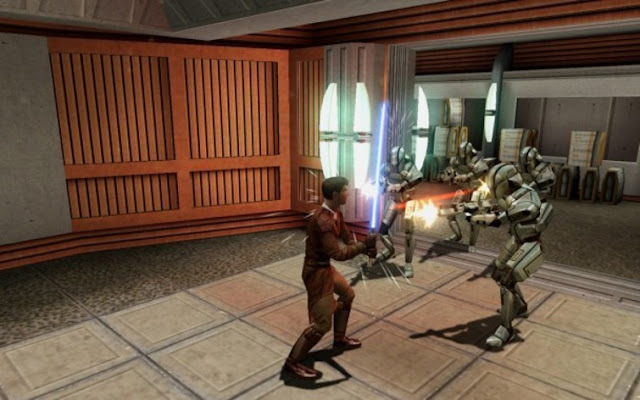 But mostly it was the first game that let us wield a lightsaber in a game that played out like a Star Wars film, rather than a little side story, and that was - and is - just amazing.